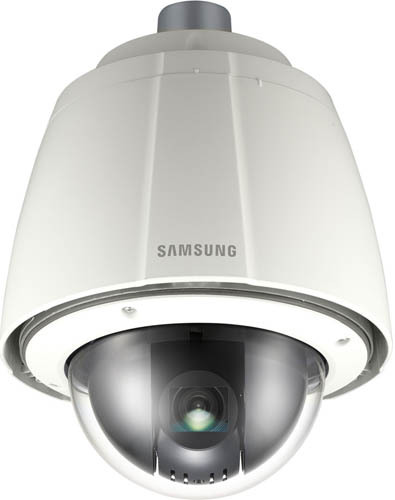 The Samsung 3371TH is a high performance outdoor PTZ dome IP camera that includes advanced auto tracking. It features a 37x auto focus zoom lens (3.5-129.5mm), 360° continuous rotation, high-speed pan and tilt operations at 500° per second, 255 presets, 128x Wide Dynamic Range (WDR), and both H.264/MPEG-4/MJPEG Codecs. 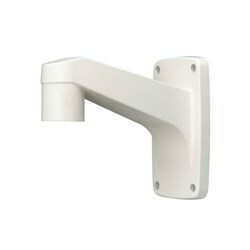 The SNP-3371TH camera offers VGA resolution at 30 fps and a long list of features including true Day / Night operation with ICR, privacy masking, frame integration, and much more. The Samsung SNP-3371TH has many exciting features for users of all types. 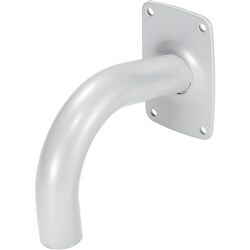 FactoryOutletStore stocks a full line of accessories like Wall Mount Bracket for the Samsung SNP-3371TH. The Samsung SNP-3371TH is sold as a Brand New Unopened Item.